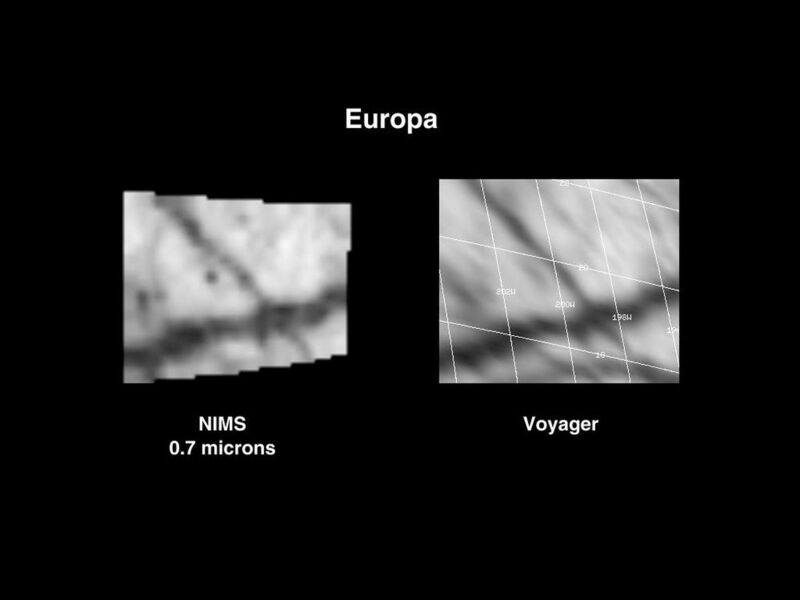 This observation taken by the Near Infrared Mapping Spectrometer (NIMS) at 0.7 microns (left image) shows the interception of two lineas or fractures on the Northern hemisphere of Europa. 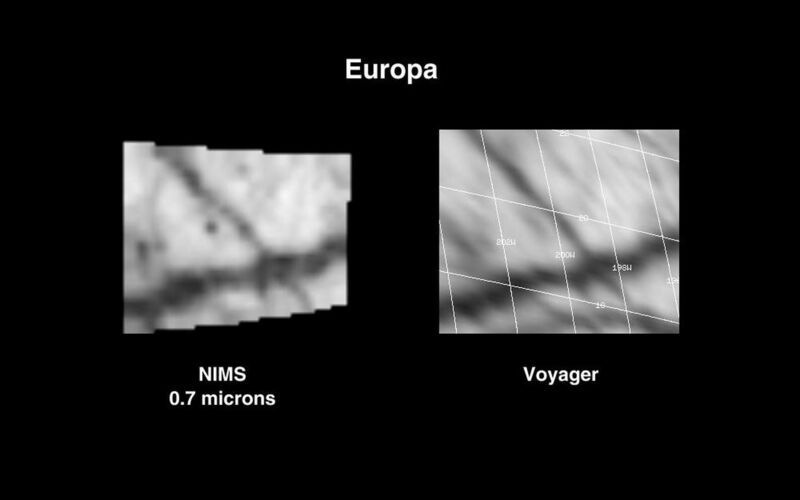 A comparison Voyager visible-light image is shown at the right. The NIMS image at 4 km resolution shows dark hydrated material concentrated in the linea structures (dark lines in the Voyager and NIMS images). 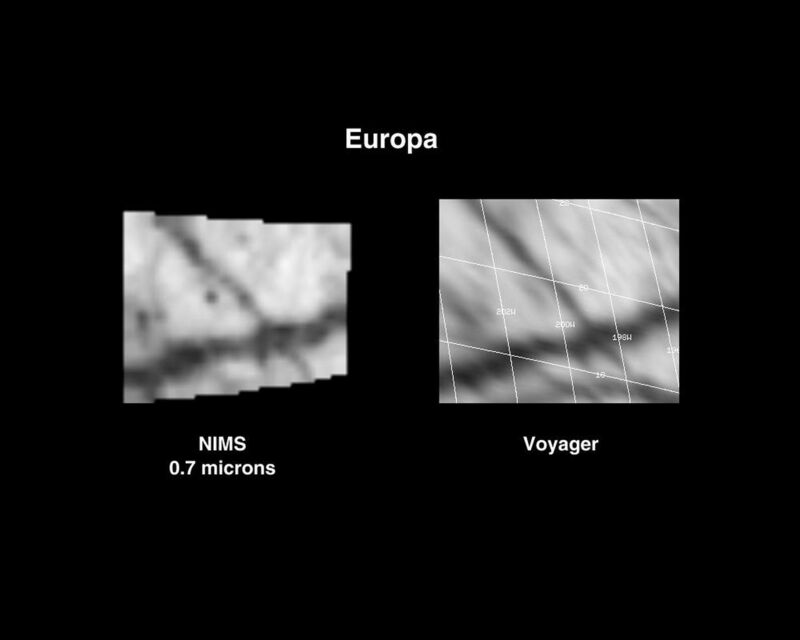 Note the dark spot at the lower left of the upper linea; its spectra matches the hydrated spectra of the lineas.